Eleanor Jeraldine (Jerry) Crouch Jaehnig, 97, passed away at The Gardens at Warwick Forest on Monday, March 25, 2019 from age-related complications. Jerry was born on December 28, 1921 in Manning, SC to Ethel Perkins Crouch and Henry Leland Crouch. She grew up in Greenville, SC and graduated from Winthrop College for Women in 1943 with a degree in mathematics. While in her senior year at college she and other classmates were visited by a recruiter from NACA in Hampton, VA. She along with several others accepted positions as “human computers” during the war years. There she met her future husband, Gordon Henry Jaehnig, a civil engineer, who also worked at NACA. They were married July 25, 1945 in Mississippi where he was stationed in the Public Health Service; a part of the US Army. They settled a few years later in Newport News, VA where they raised a family and Gordon returned to work at NACA, which was to become NASA. In 1960, Jerry obtained her teaching certificate and taught elementary school in the Newport News Public School system for 15 years. Jerry had a life-long love of music. Early in her married life she participated in community chorus and operetta productions. A member of Grace United Methodist Church since 1957, she participated in most of the youth and adult music programs, serving for a time as a director of the children’s choir, youth choir and adult bell choir, as well as singing in the adult choir. Later in life, Jerry fell in love with the sounds of the hammered dulcimer. She purchased an instrument and taught herself to play. She would play at church and at other gatherings. Jerry’s music abilities throughout her life were truly magical. Jerry was a past president of the Women’s Club of Newport News and also volunteered as a reading tutor at Riverside Elementary School. She enjoyed sewing and crafts; especially ceramics. She was a member of a bridge group and formed a “lunch bunch” with her friends. She loved playing and watching tennis. Along with Gordon, Jerry enjoyed hosting her four grandchildren for summer vacations, taking them to the beach and to Disney World. She always looked forward to traveling with them in their Winnebago. She was preceded in death by her husband, Gordon and her son John Richard Jaehnig. 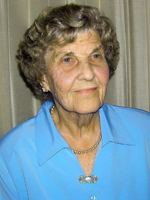 She is survived by her daughter Catherine Jaehnig Corson and son-in-law Craig Corson; four grandchildren: Eric Jaehnig and his wife, Ashley, Adam Jaehnig and his wife, Torie, Anna Jaehnig Evans and her husband, Al and Sara Jaehnig; and four great-grandchildren: Aiden, Addison and Ethan Evans and Ryker Jaehnig (Adam and Torie). A Celebration of Her Life will be held on Friday, March 29, 2019 at 2:00 PM at Grace United Methodist Church, 1209 Country Club Road, Newport News, VA, 23606. Her interment will follow at Peninsula Memorial Park. Memorial contributions can be made to: Alzheimer’s Association, 6350 Center Drive, Suite 102, Norfolk, Virginia 23502. Arrangements are by Weymouth Funeral Home.